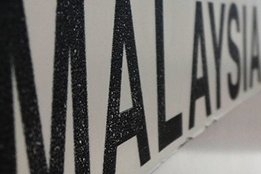 Malaysia has set its sights on being the region's LNG bunker hub, according to state oil and gas firm PETRONAS. Writing in its latest Activity Outlook 2019-2021, the firm said it was well-positioned to support the country's "strategic intent". "Efforts are now being put in place towards advocating LNG as the preferred marine fuel of choice. In close collaboration with industry associations like MOSVA, programmes are aligned to encourage migration; to develop necessary infrastructures to support a swift and effective migration of local (currently diesel-fueled) OSV fleet to LNG, as the cleaner option." PETRONAS says the first commercial LNG Bunkering operations are planned to start by the second half of 2019 from RGT1 (Sg Udang, Melaka) and RGT2 (Pengerang, Johor), followed by KSB (Kemaman, Terengganu) and ASB (W.P. Labuan). Singapore, by far the world's biggest bunkering port, has also set its sights on being an LNG bunkering hub.